Dog-thieves rank right up there with some of the most hated people on this planet. Not only are they stealing a beloved family member but they are treating said family member as chattel. When dogs are stolen, they are more than likely to be physically harmed or put into situations where they will be injured or killed. While most dogs are stolen because the breed itself fetches a handsome sum of money for resale to unsuspecting buyers, many others are stolen merely for reasons that will cause them real bodily harm – dogfighting, laboratory testing, and fur, to name a few. The following list is not in any kind of order and the breeds named can change from year to year. A purebred Yorkie with papers will cost at least three-grand in a legitimate sale. A thief can sell a stolen Yorkie for a couple thousand dollars. The small size of the Yorkie makes this dog an easy and lucrative steal. Even though the shelters are flooded with these poor animals, pit bull parents still find themselves victims of dog-nappers. Pit bulls will probably suffer the most from dog-napping; they are used frequently to satisfy the black-market demand for dogfighting. Although this loyal and stalwart breed isn’t the easiest to steal, they are very popular. Their beauty and intelligence make them sought after and dognappers capitalize on this. If you have a German shepherd who is younger than a year old, you are at greater risk of being victimized; puppies naturally fetch thousands of dollars and can be flipped for at least $1,500 on the black market. A French Bulldog puppy can be bought from a reputable breeder for a 5-digit figure which means the resale value of illegally flipping one of these wrinkly-faced dogs can be around $5K. This is more than what most people make in one month at a real job. These dogs can be almost eighty pounds but their gentle natures and non-shedding “hypoallergenic” coats are prized features. For a mixed breed, they are quite expensive – around $3K in a legitimate sale. For dognappers, this is an easy steal – even though labradoodles are hefty, they are trusting and compliant. It’s hard to believe that with the overpopulation of Chihuahuas in kill-shelters around the nation, they are still a favorite with dognappers. Their small size makes them an easy target and teacup Chihuahuas with papers are the jackpot for criminals. This little bundle of fluff is a lotto ticket in the underground world of dog-trafficking. The limited number of purebred Pomeranians increases the demand while keeping the supply short. 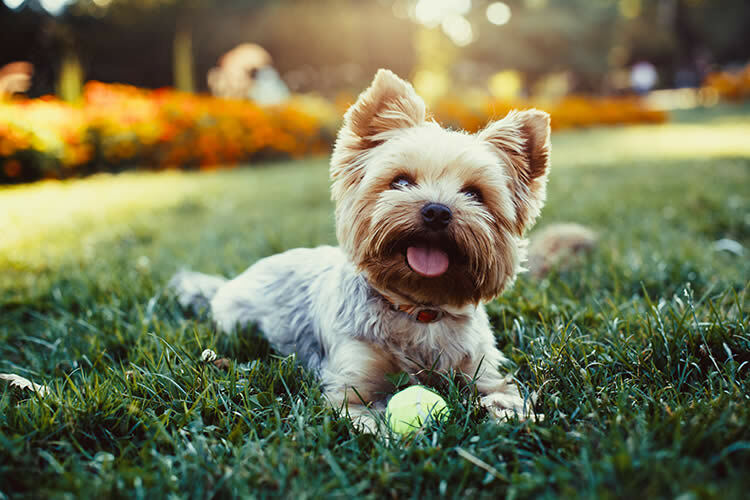 Some have been reported to sell for a substantial five-figure sum which means that a dognapper can fetch close to that amount if the buyer is unaware that the dog is stolen. These dogs are large, but they are friendly and good-natured. Dognappers can easily lure these high-priced dogs away with a piece of steak. Afterwards, they are treated as a commodity – sold on the black market for a couple thousand dollars. With their piercing blue eyes and gorgeous coats, these Northern dogs are loved nowadays for their appearance. Adults are not so easy to steal – these two breeds are capricious and a bit mischievous. However, puppies are targeted. Those who have listed their pups on the internet have been victimized. The dognappers will steal the puppies selling them for thousands and then using them for breeding purposes. People love the Maltese for his cottony, white coat and his pleasing disposition. Sadly, the Maltese is also one of the most commonly trafficked dogs in the U.S., making thousands of dollars per dog for their captors. Even if your dog is not listed, don’t underestimate the value your dog can have to evildoers for nefarious purposes such dogfighting bait, snuff films, laboratory test animals, or even to be fed to pet reptiles. Dog lovers cannot imagine the lengths of cruelty that human beings will go to for profit. Animals are unfortunately the easiest victims since animal cruelty laws are largely ineffective and they can be broken with impunity. Microchips are certainly effective if your dog is lost and is picked up by the local shelter. Conversely, this simple RFID implant will be completely useless against a dognapper who has no intention of identifying the dog or returning him. These microchips are not GPS trackers which are bulky appliances that aren’t suitable for tiny breeds. The best way to prevent thieves from taking your dog is to keep your dog indoors when you’re not at home. Don’t leave your dog unattended in a car or chained outside a store while you are shopping. Be aware that if you have a puppy in your home, this dog is going to be targeted, as he will fetch three times the amount that an adult dog of the same breed will fetch. Lastly, just knowing about the possible horrors that your dog could endure if dognapped should be enough motivation to take any measures necessary to keep him safe.